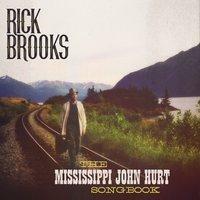 Rick Brooks has brought the blues to AK for many years and we were glad to have him Live In-Studio to share music and conversation about his new CD "The Mississippi John Hurt Songbook". Rick has spent years in Alaska playing and teaching guitar. He's influenced other Alaskan artists and stayed on point as one of our key talents in the 49th State!